Manchester United have won their 20th title with four games still to play and could finish the season on 96 points. It has been a very good season for Sir Alex Ferguson’s side and one that will be remembered, especially after last season’s heartbreaking ending. They clearly didn’t want a repeat of that this year and have only lost four games all season as well as having a much better goal difference than their closest rivals which was once again Manchester City. At times earlier in the season there were questions about their defence but in recent weeks it has tightened up brilliantly which has taken the pressure off their attacking players. One of these attacking players is Robin Van Persie who in my opinion has been the difference this season from last year. It is not only his goals that has made him such a good signing but his movement and his ability on the ball, he drags defenders out of position giving other players opportunities to score and even when he was on a goal scoring drought, he was still playing pretty well. 28 goals in all competitions is a great return and he will be hoping to hit 30 before the season is out. The other two main strikers have also chipped in with goals and Wayne Rooney and Javier Hernandez will have profited from playing alongside the former Arsenal man. Although there may be a few concerns with Rooney as it is the first time he is not the main man for a long time. Another slight concern might be the goal scoring return of Danny Welbeck but he has played on the wing at times this season and some of his appearances have been off the bench. In my opinion though he is certainly good enough to be the fourth choice striker. It has been quite a strange season for the clubs midfielders though as none of the attacking ones have really stood out for prolonged periods of time. Nani, Ashley Young, Shinji Kagawa and Antonio Valencia just haven’t quite been at their best this season and will be hoping they get another chance to impress next season because I am a little worried about the future of some of these at the club. However, Michael Carrick, whether rightly or wrongly has been included in the PFA Player of the Year nominations, has had a fantastic season and just proved why he should have more England caps than he does. Yet again the defence has been good at times but there have also been mistakes in their defence that have not quite cost them but made a few games more difficult than they should have been. Rafael at right back looks very promising and in a few years could be considered the best in the world, as long as he improves his defending slightly. However, these days it seems more important to be able to attack from full back than to actually defend so he is ok in that respect. Also David De Gea deserves a mention because everyone was jumping on his mistakes but when he was keeping clean sheet after clean sheet nobody was praising him. He is another that will get better and I don’t think people consider his age when criticising him. He is only young (especially for a goalkeeper) and will make mistakes but he has bounced back from every one of them. Who will Christian Eriksen sign for? Christian Eriksen could be set to leave Ajax this summer after rejecting a new contract which has alerted Premier League clubs. The 20 year old midfielder is one of the hottest prospects in world football and he could become one of the best players in the world. It is remarkable that he is so good and played so many games at such a young age at a huge club like Ajax. In total he has played 143 times scoring 26 goals and assisting another 48 more. In the last two seasons he has been phenomenal, with him playing 44 times and getting eight goals last season as well as already having nine goals in 31 appearances this year. More remarkably though and this is why he should be getting a lot of praise, he got 21 assists last season and was instrumental in nearly every attack. Would he be able to cut it in the Premier League though, as we have seen in the past that some players can perform very well in Holland but not be good enough for England. I am sure the fact he has rejected a new contract it will make a lot of clubs sit up and take notice. So who will he sign for? The favourites to sign him have to be Manchester United as he seems like the type of player that would fit into their style of play and would be a perfect replacement for Paul Scholes who will probably retire (again) at the end of the season. Eriksen could either play out wide for Alex Ferguson’s side or right in the middle alongside a holding midfielder. Personally, I think him and Michael Carrick could control a game very easily if they played together. Also, he is only young and would fit into their recent signings of young and upcoming players. However, he may decide to join a different club and another team that should be looking at Eriksen is Tottenham Hostpur. They will be able to give him European football and possibly even a place in the Champions League and not only that he could be the final piece to the jigsaw and get the club challenging for trophies and league titles. A key factor in his signing could be that it could convince Gareth Bale to stay at the club and this would certainly show that they were wanting to be more ambitious. The final team that will be linked with him is Liverpool. Although they aren’t one of the top clubs anymore they do still have a chance of qualifying for Europe this year and this may make the Danish international join them. He would be a great signing because he is better than a lot of their other midfielders like Stewart Downing, Jordan Henderson and Jonjo Shelvey. Also Steven Gerrard is getting towards the end of his career now and Eriksen would be a perfect replacement and although he wouldn’t be a direct replacement, he would deliver the same if not more goals and assists. 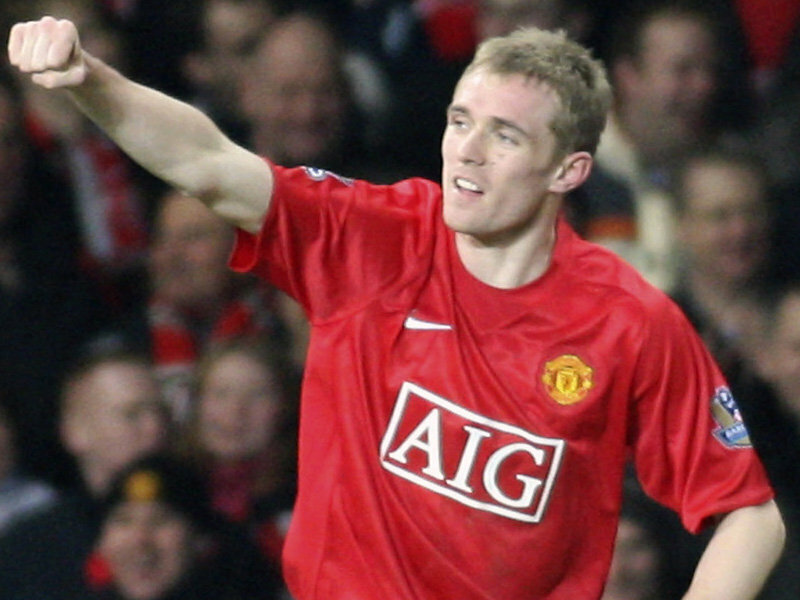 How important is Darren Fletcher to Manchester United? Darren Fletcher made his return for Manchester United against Newcastle United in the Capital One Cup so will his return help the club win trophies this season. Obviously he has only played one game so it is too early to see whether he will be able to play on a regular basis but it is a good sign that he was back on the pitch. Fletcher has been a vital part of the United side for a number of years now and has almost always been an automatic choice for the big games in Europe and Premier League. But why is he so important? I am going to compare the Scotland international with some of the other options Alex Ferguson has. His rivals for the central midfielder spot are Shinji Kagawa, Michael Carrick, Paul Scholes, Anderson and Tom Cleverley. Nick Powell, could also be considered in the central role but he won’t be starting many games and will be utilised a lot from the bench if he does get the chance to shine. So, let’s start with the summer signing, Kagawa. This is a tough one to call because Kagawa has already proved that he can be very creative and make things happen but if they only play two central midfielders then he may be a liability if he doesn’t stick to his defensive responsibilities. So, in the bigger games I believe Fletcher will start over Kagawa if he is fit unless either Wayne Rooney or Robin Van Persie are dropped and they switch to three in the centre of midfield. But, in other games, particularly at home when they are expected to have a lot of possession, this could be the perfect combination as we all know Fletcher will work himself into the ground and let Kagawa dictate play. In the big games I could see Fletcher starting alongside Michael Carrick as both are decent passers and like to keep the ball ticking over, so they will be vital in keeping possession, especially away from home in Europe. But, if these two lined up against a bottom half Premier League team it would be a shock as neither have got that many goals over the years, however, at times Fletcher has proved he can grab vital goals so this tactic could work. Paul Scholes shocked us all when he returned from his retirement part way through last season and I think out of the options his preferred partner would actually be Fletcher because of his work rate and determination, allowing him to play his natural game and control the tempo of the game while also being safe in the knowledge that Fletcher will cover enough ground for the both of them. Onto the two players that I believe will once again find themselves far down the pecking order, Tom Cleverley and Anderson. The Brazilian has flattered to deceive at Old Trafford and nobody is really sure at what he is all about, even though he has been at the club for a while now. This because he isn’t disciplined enough to play the holding role and leaves big gaps in front of the back four and when he is played in the advanced role he doesn’t influence games enough, so if Fletcher can regain form and fitness then this could be the last season Anderson is at the club in my opinion. As for Cleverely, I am still not convinced by him for exactly the same reasons but he is definitely improving and if he played next to someone like Fletcher he would get even better because he would have to exert as much energy in defending when playing with someone like Anderson, Kagawa or even Scholes. In my opinion, he has also struggled slightly playing alongside Carrick because all of the creative responsibility is on him, and that is a lot of pressure for someone his age. So, the good thing about Fletcher is that he can compliment any of his fellow midfielders and a lot of his good work goes unnoticed but the management team and his teammates will understand what he does and it is clear to see that they are all very happy to see him on the road to recovery. 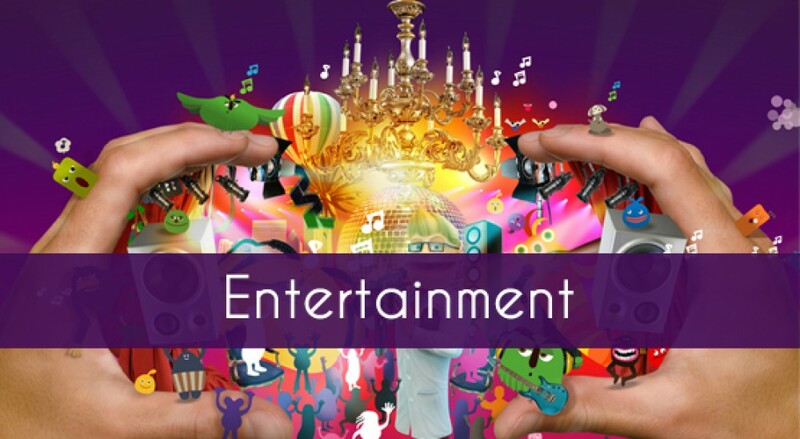 The Premier League kicked off this weekend and there is a lot to talk about but as from now after every weekend, I am going to decide on my game, team and player of the weekend. It will be difficult to narrow it down but I will try. So onto the first thing, team of the weekend. This could go quite a few ways, should I give it to Swansea City under new manager Michael Laudrup, who destroyed QPR away from home 5-0 after being tipped as one of the teams to struggle this year (although it has only been one game and that may still be the case). Maybe, Fulham deserve it as they also won 5-0 against Norwich City, under difficult circumstances with their main man from last season Clint Dempsey not wanting to play. 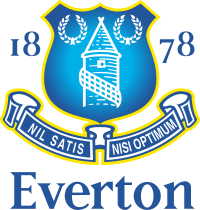 Although impressive, I have decided to go with Everton as they performed wonderfully and beat Manchester United 1-0. Everyone in their team played their part with Phil Jagielka and Sylvain Distin phenomenal at the back, Steven Pienaar and Marouane Fellaini causing problems from midfield and up front Nikica Jelavic worked his socks off. They may not have scored as many as the others but they certainly created a lot of chances and even hit the bar a couple of times. Defensively they didn’t put a foot wrong and each one of them, Jagielka, Distin, Baines and Hibbert all get at least nine out of 10 from me. It is a great start to the season for them but they must play like this in every game if they want to finish in the top six. Player of the weekend is another tough one to choose as all of the teams that were in contention for team of the weekend obviously had stand out players. Michu obviously grabbed the headlines for Swansea and rightfully so, I don’t even think in his or his manager’s dreams his debut would have went that well. He grabbed two goals, one with a little assistance from QPR goalkeeper Robert Green and the other a fantastic finish. Mladen Petric also had a debut to remember by also scoring two goals but one of these took a massive deflection, however he has opened his account for the team so that will give him the confidence to push on and get more. He showed nice touches round the edge of the box and looks like he can create goals for others too. Hatem Ben Arfa of Newcastle United deserves a mention because he won the game for his team by winning and scoring a penalty, but he offered a lot more than just that with many mazy runs and great skills which forced the Tottenham players to bring him down. Yet another Premier League debutant is also a contender in Eden Hazard who in the first seven minutes of Chelsea’s game with Wigan Athletic showed why most clubs in Europe wanted him. Hopefully, he will show a lot more of that in the future. 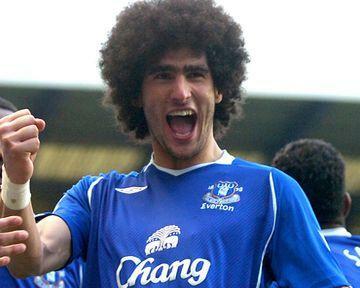 But, the winner for me has to be Marouane Fellaini who scored the winner for Everton, as I have already mentioned the whole of the backline got 9’s but this guy got a 10 and was fantastic from start to finish. He won everything in the air against both Michael Carrick and Nemanja Vidic, and was simply unplayable at times and he is definitely looking like he could have his best season yet in an Everton shirt. I prefer him to play in a more attacking role so he can do exactly what he did against Manchester United. Game of the weekend isn’t quite as tough I don’t think, because 5-0’s are good but I would like a game to be less one sided and as I have said Everton played fantastically but Manchester United definitely weren’t great and couldn’t get out of first gear. So, my game of the weekend is Manchester City versus Southampton. The away side almost came away with a very unlikely win never mind just a point, after going 2-1 up but unfortunately couldn’t hold onto their lead and ended up losing 3-2. Both teams played the game in the right way and kept the ball on the floor and tried to pass through the opposition. When Carlos Tevez was brought down in the box for a penalty, I thought that was it for Southampton but Kelvin Davis managed to save David Siva’s penalty and there was renewed optimism, however, this didn’t last long as Tevez then did put City ahead. Game over? Not quite as sub Rickie Lambert scored with a fantastic finish and all of a sudden the momentum switched, and when fellow sub Steven Davis put them 2-1 up with an equally good finish, there was a feeling of worry growing round the stadium. But, just as he did against QPR on the last day of last season Edin Dzeko managed to get an equaliser, leaving enough time for Samir Nasri to fire home the winner. Good start from both teams but I think Nigel Adkins will be the happier of the two managers. Which teams, players and games impressed you this weekend? How did your team do, were there any standout players? 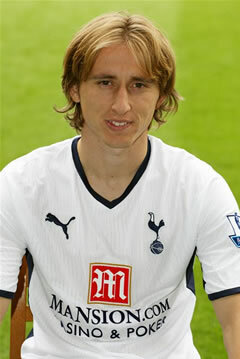 Will Luka Modric stay in the Premier League? Luka Modric is most likely going to be leaving Tottenham Hotspur this summer after an impressive Euro 2012 and some of the biggest clubs in Europe want the midfielder. Real Madrid are currently the clear favourites to sign him and I hope he doesn’t join the Spanish giants because he brings a lot to the Premier League. The Croatian joined Spurs in 2008 and has been a major reason why they have challenged for a place in the Champions league. He definitely doesn’t get the credit he deserves and is an example of players that are a lot better than there stats suggest, he hasn’t actually got that many goals and assists for the club but his performances have been sublime with his passing being accurate and usually the most important pass of an attack. He picks out his teammates time and time again which allows them to put in a cross or slide it through for someone else to shoot. Although it is still unlikely at this stage he could still sign for a Premier League club and I think his style of football suits the English league rather than La Liga. So where could he go? Obviously, Manchester United would love to have him with their current midfield either ageing or not quite living up to their potential. Paul Scholes and Ryan Giggs have been fantastic servants but they cannot play every game and sometimes you need younger legs in there and with Park Ji Sung leaving for QPR there may be extra strain on Michael Carrick and new signing Shinji Kagawa. Anderson and Tom Cleverley can also play in the middle but I just feel Anderson has been a waste and underperformed massively while Cleverely doesn’t have the required experience yet to be first choice. Chelsea were linked with Modric last summer but couldn’t get him and now maybe they have moved on so I don’t expect them to try and sign him, however, he would fit into their style of play now and could be just what they need, especially when defending their Champions League trophy. Michael Essien will be back to full fitness next season and Frank Lampard will probably not get dropped. The only reason they may want to bring him in is that their new signings don’t have that much Premier League experience between them so they may struggle to adapt to the league and he wouldn’t certainly do a job for the team. Finally, Manchester City have been linked with a move, however you have to take everything you read about City with a pinch of salt because the papers will link the club with any player that has had a good season. They have enough cover in the midfield anyway and it looks like they are prioritising the signing of Robin Van Persie at the minute. I think if they do make a big signing this summer (either instead of or along with Van Persie) then it will be a centre back as that is where they are weakest. Norwich have finally kept their first clean sheet of the season with a gritty performance against Chelsea and it helped them to a fantastic point in a fantastic season. In my opinion Norwich have been the surprise package in the Premier League and this is down to their team spirit and hard work. They are essentially a team built of ambitious Championship and League 1 players with another in Jonny Howson close to joining the club from Leeds. Looking at the team they were rightly favourites for relegation but the bubble still hasn’t burst from two consecutive promotions. Paul Lambert deserves great credit for bringing this team together and making sure everyone single player knows their job before they even step foot on the pitch. But if he wants to improve the team it surely has to be in the defence although the team performed superbly against Chelsea they have at times looked awful when defending. In attack, they have two players who will battle for every ball and chase down every lost cause. It must be a nightmare to play against Steve Morison and Grant Holt because they do not give defenders a moments rest and when they come off the pitch they will probably discover a few bumps and bruises. This is not to say they are dirty players because they are clearly just very honest and committed professionals who will do anything to secure three points. They are both very good in the air and when the team is under pressure they know they can send the ball slightly longer as these two will have a good chance of relieving the pressure off the defence and make the ball stick up front. Which allows the midfield to push forward and create chances and in Anthony Pilkington they have someone who can pick a pass or deliver an inch perfect cross with his left foot. He has also chipped in with a few goals this year which is a bonus but he also always provides plenty of cover for his full back when the team is defending. In the centre of midfield they have Bradley Johnson who has been linked with a call up to the England squad and although this is unlikely, he has deserved his praise this season. Alongside him against Chelsea was David Fox who does the simple things brilliantly and just keeps the game ticking over and very rarely gives the ball away. He just sits in front of the back four and doesn’t mind getting the ball even when he is under pressure, he doesn’t put in many tackles so he is similar to Michael Carrick in that respect. The defence can be shaky but in Kyle Naughton they have a very good full back and was probably going to have a good career at Tottenham until Kyle Walker came along this season. But the rest of the defence could do with improving although Russell Martin deserves a special mention as he has performed admirably at both centre back and right back. John Ruddy in goal has also been linked with an England call up and was given man of the match against Chelsea as he produced a few good saves in particular a brilliant save from a Fernando Torres effort. Paul Lambert in my opinion deserves manager of the year and Norwich deserve all the plaudits coming their way. However, Blackpool were in a similar position last year and they ended up getting relegated so maybe it is too early for Norwich fans to be celebrating. They have enough togetherness in the squad to stay up but this is when promoted teams get found out and teams work out how to beat them. Norwich need to get to 40 points as quickly as possible and this point against Chelsea could be priceless come the end of the season.